Browse or search for the HBO Nordic app. Select HBO Nordic, and then select Download. To start HBO Nordic later, go to apps, My Apps, and then HBO Nordic. Go to apps, My Apps, and then HBO Nordic. Once you activate the app, you will not be prompted to again. Select Currently Watching to pick up a show or series where you left off or access your Watchlist to select content you added to the list earlier. For further choices, navigate to series or movies to search for additional content. When you start the app, you will be prompted to sign in. Select Activate your device in the lower-right corner. An activation code will be displayed on the Activate screen. On an internet-enabled device, such as a PC or smart phone, go hbonordic.com/settings/devices in your browser. Sign in to the website using your HBO Nordic credentials. Enter the code from the Activate screen in Xbox into the Activate window in the browser. Select the AUTHORIZE button. You will be presented with a device description, which you can customize. To register, select the Accept button. You will be notified of success with an “Authorization token accepted” message. 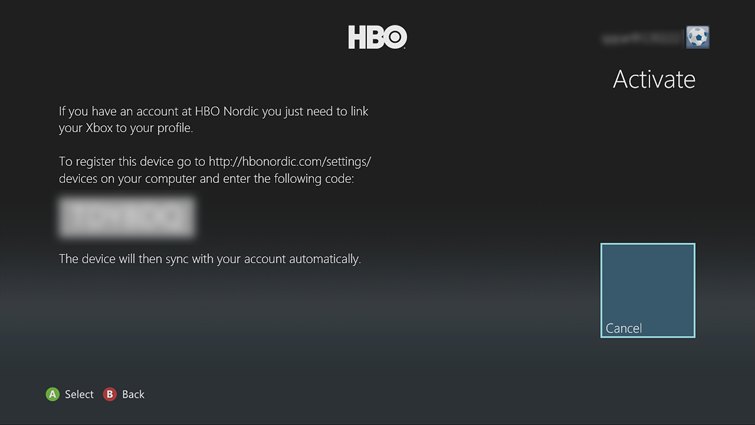 Once you’ve signed in, you won’t be prompted to again on this console, unless you sign out from within the HBO Nordic website. 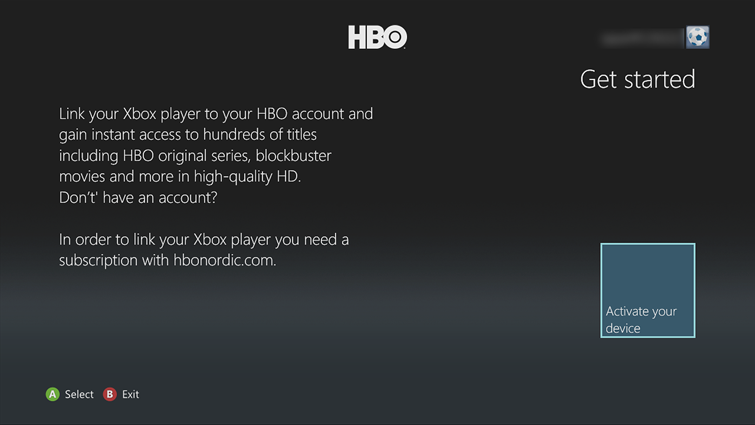 Each additional console you use will need to be authorized to your HBO Nordic account. You can register up to five different devices. If you want to add a new device after reaching the limit, you’ll have to remove a device from your list before you can add the new one. You can remove one device per month and up to six devices per year. Device management can only be done at the HBO Nordic website. To turn subtitles on or off or to change your language among Finnish, Swedish, Danish, and Norwegian, go to the settings hub. On the settings hub, select the Subtitles. Select your preferred language (Finnish, Swedish, Danish, or Norwegian) to turn subtitles on. Select Off to turn them off later. Note Applies to Norway only. If you use Family Settings to control what kinds of movies and TV shows can be watched through Xbox Live on your console, the HBO Nordic app will follow those settings. For example, if you use parental controls to restrict access to some kinds of TV programs, those programs will be marked with a “restricted” icon in the HBO Nordic app. To play a restricted item, an adult must enter the Family Settings pass code. 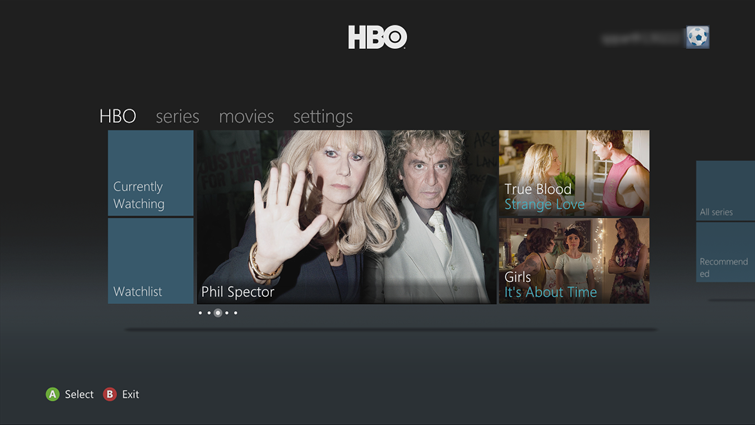 ¿Quieres contactar con el Soporte técnico con referencia al problema "Set up and use the HBO Nordic app on Xbox 360" acerca del que estabas leyendo o con referencia a otro problema?